This is the latest smart device that has been announced by the Sony. It is a LTE enabled phablet. It has very big screen of about 6.44 inches in size and is said to be one of the most powerful smartphone of the Sony family. It is powered by the top notch from Qualcomm, the Snapdragon 800 processor. The device has a very attractive finish and looks are eye catching, there is a touch of tempered glass with metallic finish on both the sides of the smartphone. This device is very good looking  and impossibly very thin at an unbelievable thickness of 6.5mm. Though the phone is bigger in its size, it is comfortable to hold it one hand but weighs slightly more than the Samsung Galaxy Mega 6.3. When compared to this Samsung phone, the Z ultra has that luxury look since the Galaxy Mega has a plastic body. Since this phablet is both dust and water proof, it helps in capturing underwater HD images or you can also shoot video in HD quality underwater. Isn’t underwater photography simply amazing? 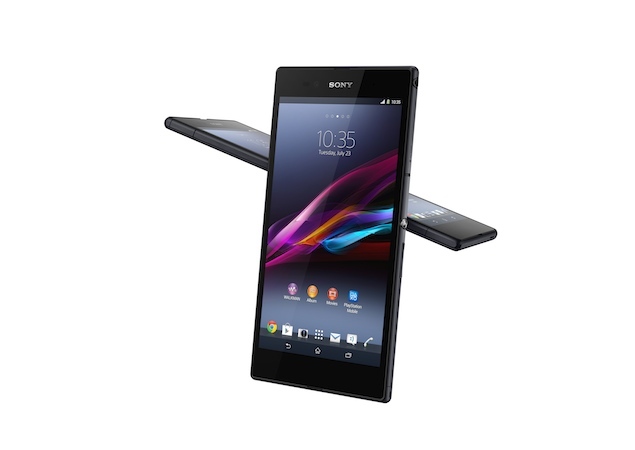 Well you can do it using the Sony Xperia Z series smartphone. The device is a phablet, and it supports stylus navigation, although the device does not come with a pen type input equipment. This smartphone supports HD video recording on the front camera for video calling. The phone is powered by the latest versions of Google’s Android, the Jelly Bean 4.2. Under the hood, we have a Quadcore 2.2 GHz processor with a chipset from the latest version of the Qualcomm, Snapdragon 800. The graphical processing is accelerated by the Adreno 330 graphical processor. It has a 2 GB RAM. It is available in three vibrant colors: white, black and purple.